Welcome to the ABC Training Center Bartending School, home of one of the most established and well respected bartending schools in New York City. We are proud to have trained countless bartenders who have gone on to work all over New York and beyond. 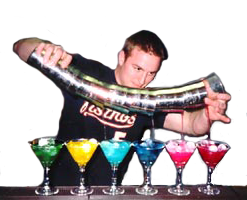 Our graduates work in bars, restaurants, clubs, pubs, lounges, hotels – anywhere alcohol is served. The point is: our grads work! ABC Training Center will arm you with all of the skills that you’ll need to make the most of this in-demand career. All at a location that is minutes from Manhattan. CERTIFIED NURSE AIDES (CNA) work under the direction of other health care professionals, usually in nursing homes or hospitals. Their duties include taking the blood pressure, temperature, and pulse of patients. They help patients get in and out of bed, take baths, and dress. They also serve meals and perform housekeeping chores like making beds and cleaning rooms. 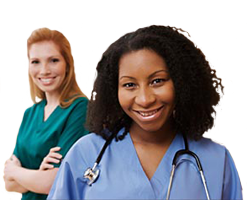 Nursing assistants observe the patient’s physical, emotional, and mental status and report any changes to the medical or nursing staff. 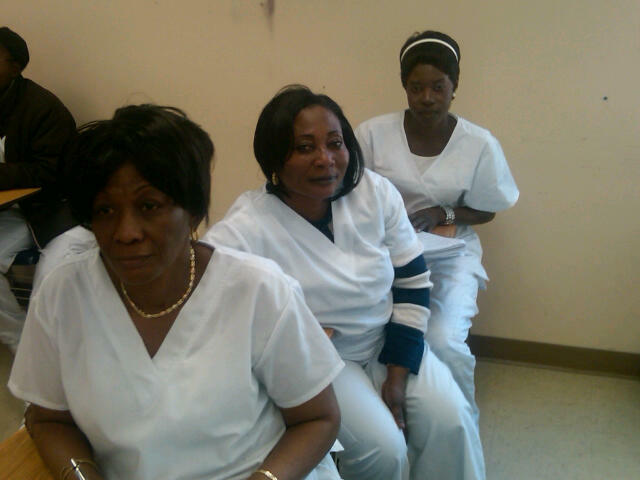 Nursing assistants that are employed in nursing homes are often the principal caregivers. They often have more contact with residents than other members of the staff. Since some residents may occupy a nursing home for months or even years, nurses aides often develop ongoing relationships with them and respond to them in a positive and caring manner. EKG Technicians are responsible for performing electrocardiogram tests in order to record and monitor electrical impulses transmitted by the heart. This assists a physician in diagnosing and treating cardiac and blood vessel irregularities. These tests include basic EKG’s, Holter Monitoring (portable EKG which records activity for 24-48 hrs), and Stress Tests (treadmill). 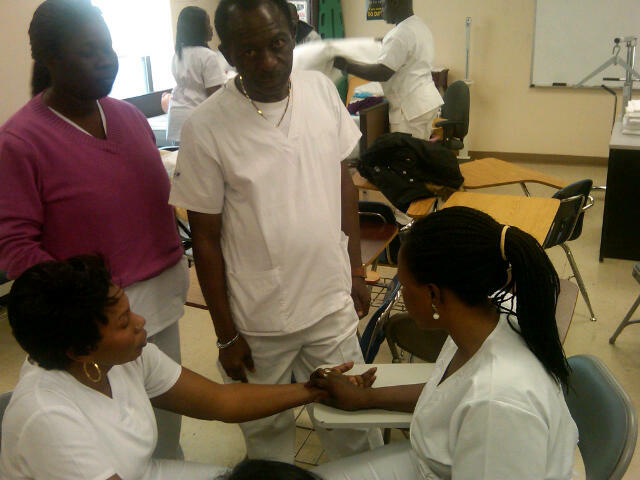 Phlebotomy Technicians draw blood from patients for testing purposes. 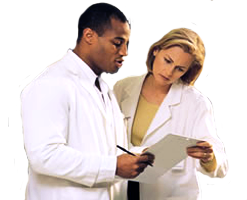 They usually work under the supervision of medical technologists or laboratory managers. 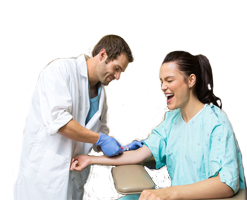 (Generally, the same employee in a facility performs the functions of an EKG Technician and a Phlebotomy Tech. Note: Fast Track schedules require a down payment of $850 and 4 weekly payments of $212.50. Home Health Aides (HHA) bring comfort and dignity to thousands of New Yorkers every day. 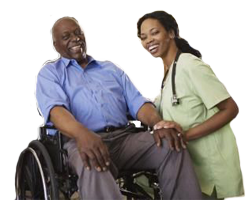 Home Health Aides help elderly, convalescent, or disabled persons live in their own homes instead of in health care facilities. 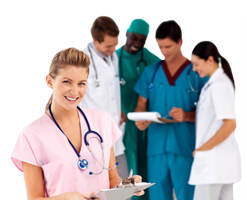 Under the direction of a nursing or medical staff, they provide health-related services. Like nursing aides, HHAs check patients’ pulse rate, temperature, and respiration rate; help with simple prescribed exercises; and help patients to get in and out of bed, bathe, dress, and groom. Occasionally, they change non-sterile dressings, give massages and provide skin care, or assist with braces and artificial limbs. 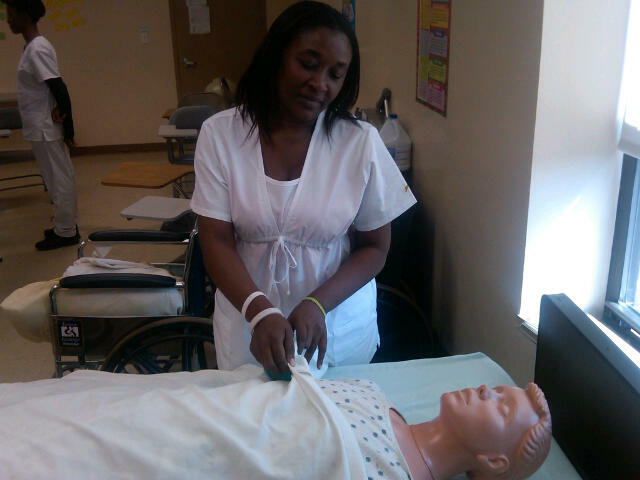 Experienced Home Health Aides, with training, may also assist with medical equipment such as ventilators. Most HHAs work with elderly or disabled persons who need more extensive care than family or friends can provide. And some help discharged hospital patients who have relatively short-term needs. 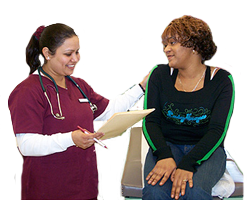 HHAs who have taken their home health aide classes in NY at ABC have found steady employment in the Bronx, Manhattan, Brooklyn, Queens, Staten Island, NJ, Westchester and beyond. There are few careers as rewarding and as in-demand as Medical Billing and Coding. Being a part of the healthcare field, a medical biller and coder is an essential part of the healthcare system. The primary responsibility of a Medical Biller is to be the liaison between patients or insurance companies and a medical facility to ensure correct and prompt payment of services. 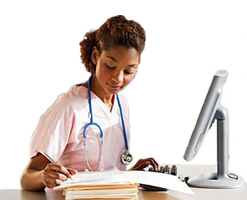 Medical billing and coding is a highly specialized job that translates into great salaries. These professionals work in medical offices or independently all over New York City and beyond. In addition to preparing billing forms and invoices, a medical biller and coder analyzes and interprets complicated claim form codes and formulas. In short, they transform diagnoses and medical procedures into numerical codes needed for billing. The biller then prepares and sends the claims to the insurance companies and is the one who bills the patients for the remaining balance. As a result, these specialists become qualified for some of the most sought-after positions in the industry. And to be ready for this career, it is crucial that you receive your training at a top-notch medical billing and coding school. ABC Training Center is approved by the NY State Department of Education to issue a Patient Care Certificate to CNA graduates from any school in the State. The CNA graduates will present their certificates of completion and take the EKG/Phlebotomy program at ABC Training Center. ABC will then issue the PCT certificate at the successful completion of the program. Subsequently, PCT graduates will be allowed to take the National Health Career Certification exam at ABC and will be allowed to attend the review class for this exam at no charge. National certification is a feather in the cap of a PCT graduate which puts you one step ahead of the pack. Our experience has shown us that candidates that have passed the certification exam and who interview at a hospital or other medical facility usually get preference over non-certified candidates. So, if you are thinking of gaining new skills to create greater job opportunities, more income and more security for you and your family, look no further than ABC’s new, approved PCT program. It is necessary to register with half the total cost – $1,525 — as a down payment for this schedule, followed by 7 equal payments of $195 and a final payment of $160 for Fast Track Schedule. Become a Certified medical coder by earning your Certified Professional Coder certification (CPC), the most recognized medical coding certification in the healthcare industry. The CPC is the gold standard for medical coding in physician office settings! 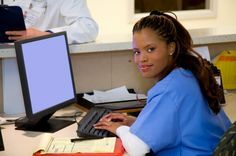 According to the U.S. Bureau of Labor Statistics, jobs for certified medical coders will increase by 22 percent through the year 2022. Prepare yourself to meet the industry demand by becoming a certified professional coder. This is your first step to a career in healthcare! Increase your chances of being hired in a competitive job market with the AAPC certification! We are a small, family owned medical career school that has trained thousands of grads in the NYC area since 1972. Because of our size, our classes tend to be smaller than other schools’ which means our students receive extra attention in the classroom. Our tuition is much lower than other schools in New York City. Call around and check for yourself. For a lower cost, we will give you superior Medical Billing and Coding training than the big chain schools. Just because you have finished your classes and received your certification, does not mean that ABC Training stops working for you. Our staff will assist you in finding a great job that will make the most of your new skills. Classes can be booked for large groups or companies with your own separate classroom. Contact us for more information.